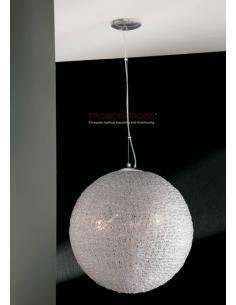 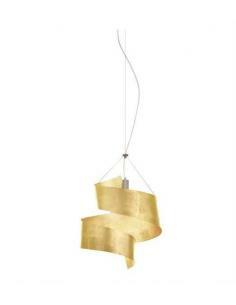 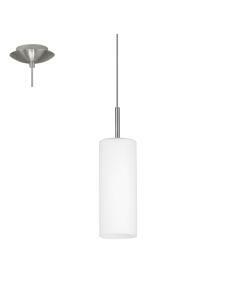 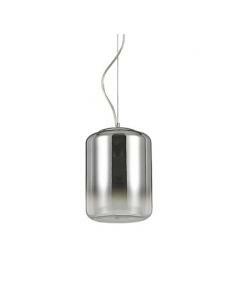 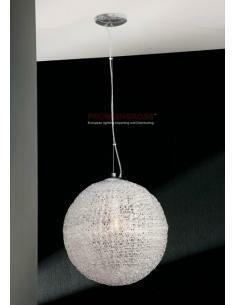 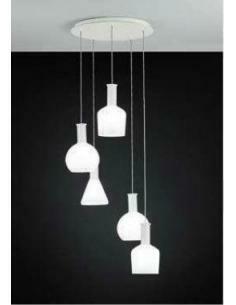 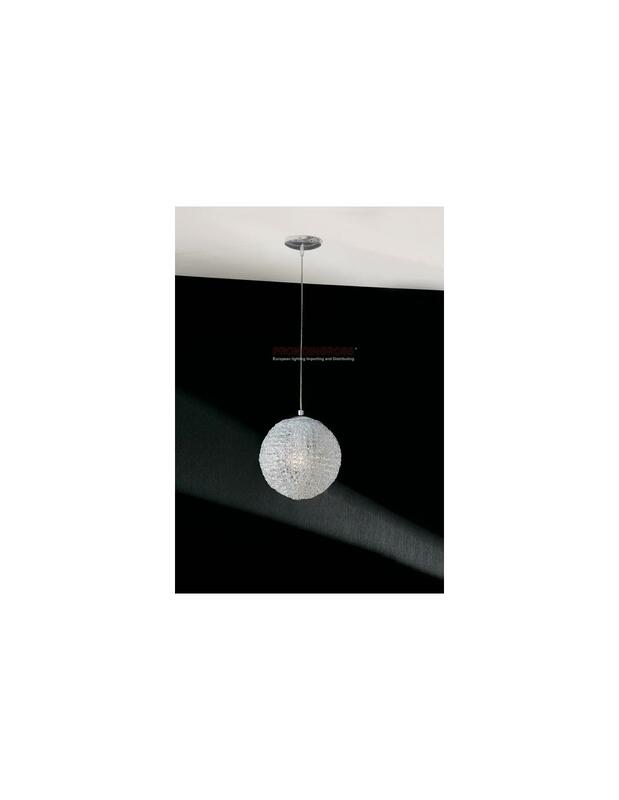 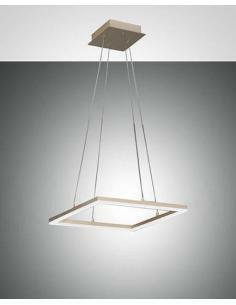 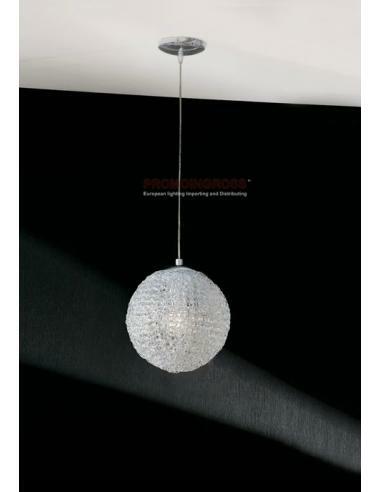 Suspension lamp with structure in chromed metal and diffuser in transparent acrylic. 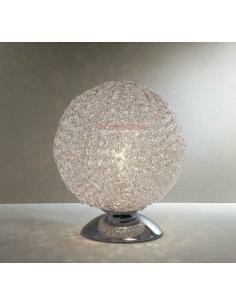 Table lamp or table lamp with structure in chromed metal and diffuser in transparent acrylic. 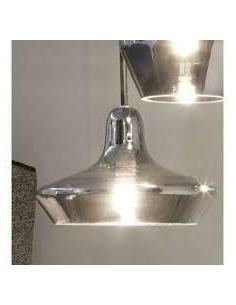 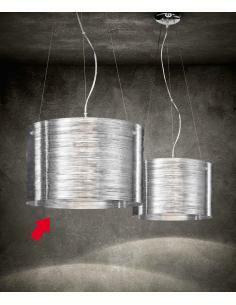 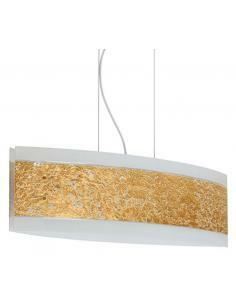 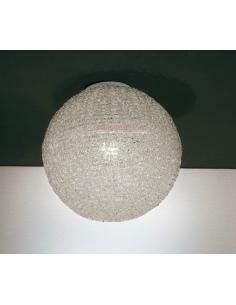 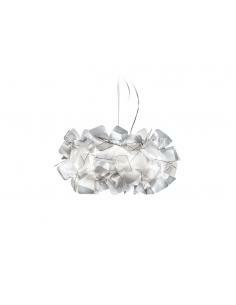 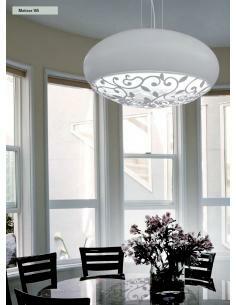 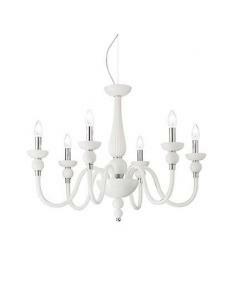 Ceiling lamp, ceiling lamp with structure in chromed metal and diffuser in transparent acrylic. 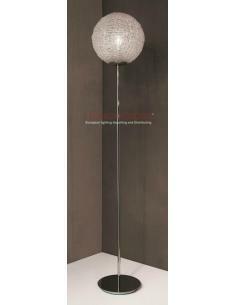 Floor lamp, floor lamp, with structure in chromed metal and diffuser in transparent acrylic. 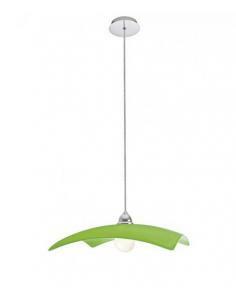 Suspension lamp with structure in metal and glass color green, also available in red and white color.